Jayson Rivest is a natural empath and intuitive who combines his more than 20 years in the Craft with his 15+ years as a Reiki Master/Teacher to assist his clients in restoring the balance necessary for optimal health. You will be put at ease by his gentle and compassionate nature and by his ability to present foreign concepts in a way that is easy to understand. Reiki is a Japanese technique for stress reduction and relaxation that also promotes healing. It involves the ‘laying on of hands’ and is based on the idea that free flowing life force energy (known as Ki) is necessary for our body/mind/spirit to achieve and maintain optimal health. Reiki is well suited for a wide range of concerns from stress and tension to pain management and healing emotional trauma to name just a few. It works on all levels: mental, emotional, physical and spiritual. Jayson is also training as a Master Aromatherapist and plans to offer aromatherapy consultations in the future. Interested in aromatherapy in the meantime? You can watch some educational videos that Jayson created on his website, Phoenix Flame & Brigit’s Well. 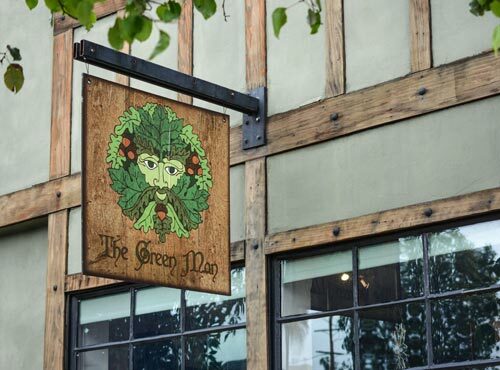 There’s no better way to incorporate what you learn than by making your own custom blends using the fine oils available at The Green Man store.